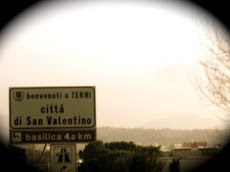 Toronto to Terni: Mini countdown. 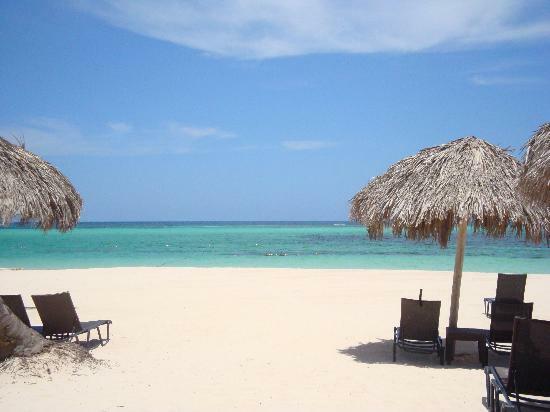 Buh-bye Toronto, hello Punta Cana in 4 days! Thanks to my amazing best friends, they convinced me to take a one week getaway for some much needed sun & sand......and a daily cold mojito to keep me company. I cannot tell you how thankful I am that they didn't let me say no. Lately, we've all been so busy with our own schedules, that we haven't had any time to relax in the city. Sometimes, it's good to get away for a few days for our own sanity. To my fellow Torontonians reading along, you all know how long we have been waiting for Spring. We ain't even greedy! We're not even askin' for summer, but Lord, can you please give us some Spring? 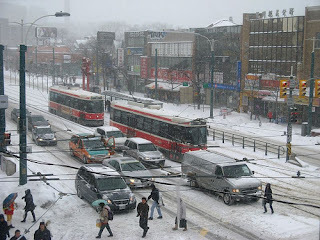 We've been good little Torontonians all winter long --shoveling snow, commuting to work in our heavy parkas and winter boots, waiting patiently behind snow plows, hibernating indoors, slipping & sliding on ice. Then you gotta go and hit us with wind, rain, hail and SNOW this past weekend (yes, it's April)? SO not funny. What I won't miss about Toronto. Ahhhh take me with you..... I can't handle this weather anymore and neither can Lucho! It's so up and down. Can't believe I'm wearing Uggs at the end of April! Ewww!!!! I'm so retiring in Colombia!